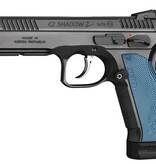 CZ 75 SHADOW 2 120MM BBL ALUM GRIP 9MM - Corlane Sporting Goods Ltd. The modernization of all the principal parts of the weapon, i.e. 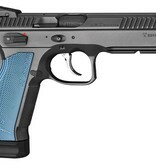 the slide and the frame, together with the extended barrel, enables repeating single shots more rapidly and more dynamically. The shape of the frame facilitates a more comfortable higher grip towards the axis of the barrel, while the new checkering ensures an absolutely reliable contact with the weapon in any circumstances. The increased weight of the front part of the frame and the slide results in a higher level of compensation and a gentler recoil. The innovative trigger mechanism has a smooth action, a low resistance and a shortened trigger reset. The magazine catch is more easily accessible and is adjustable to three positions, which makes reloading safer and quicker even if the shooter is moving. The extending of the barrel to 120 mm together with the new and longer height-adjustable sights also increases the overall accuracy of this weapon. The extremely precise and the fully automated technology for the production of the other major parts by utilising robotic machining centres without this involving any manual labour additionally contributes to the high quality of the weapon’s crafting. The Arcor finish that was inspired by the design of the service models ensures the weapon’s high resistance to corrosion, weathering or mechanical damage. Every shooter is unique. 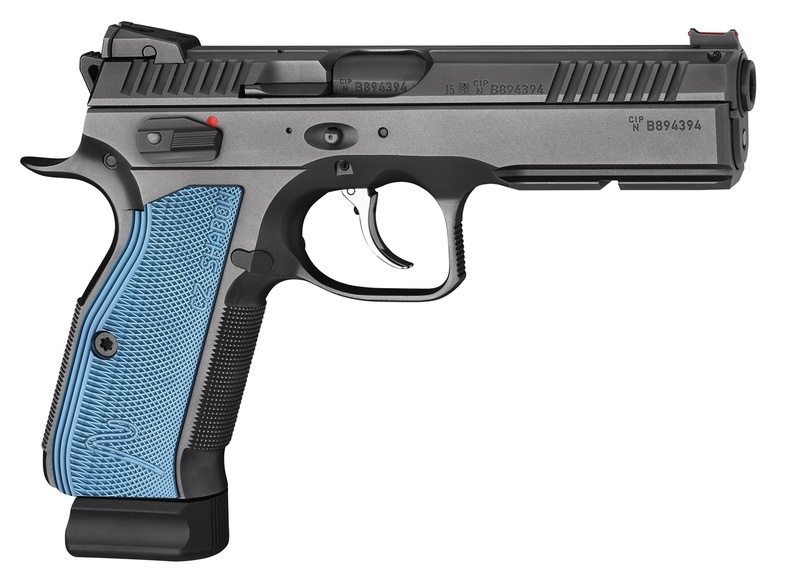 This is why a wide variety of sports and custom accessories are available, while there is also an Internet configurator that enables the combining of individual elements and thereby constructing the CZ Shadow 2 in accordance with the customer’s individual preferences and ideas. During the testing period, hundreds of thousands of rounds were fired under real competition conditions. In the same manner, the CZ Shooting Team’s shooters in individual IPSC situations achieved a degree of acceleration in units of seconds as compared using the original model of the Shadow. At the beginning suggestions and ideas were provided by the best IPSC shooters on the planet. At the conclusion of more than two years of the research and development process, there is now a unique new weapon, which will inevitably become the rightful successor to the original model. 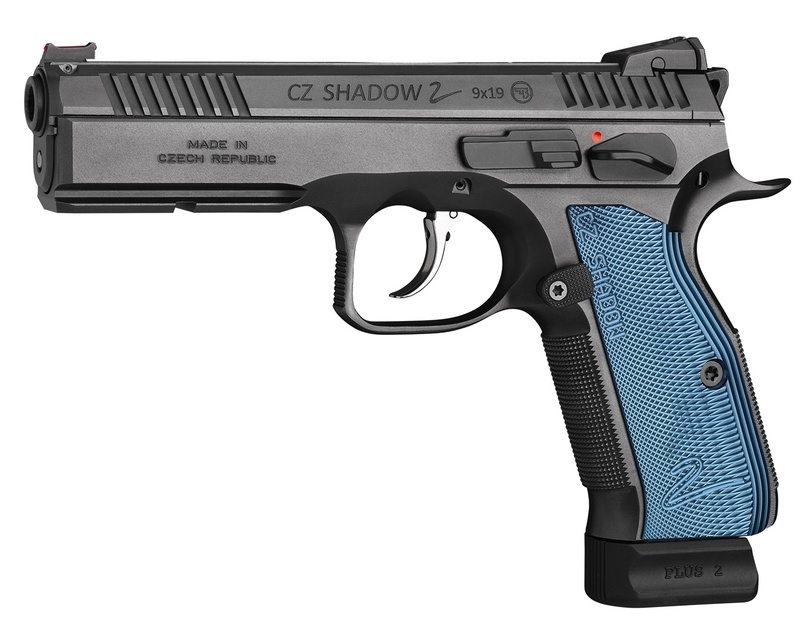 The CZ Shadow 2 is now really competition ready!